When the second generation Nissan Navara was launched in 2009 the sector was enjoying attractive tax deals, making them particularly appealing to small business owners with creative accountants. Closed loopholes don’t make them so attractive on the used market, but that means the prices of this capable, rugged and spacious pick up are now at rock bottom. While the Navara may just be a pick-up, that doesn’t mean there’s no choice as to which body shape you have. Available as both King Cab and Double Cab, it’s the latter that proved more popular when new, and therefore is more readily available on the used market, thanks to its full complement of five seats rather than the King Cab’s pair up front. However, while some markets (namely America, land of the pick-up) had a range of engines to choose from, over here we made do with one. Still, the 2.5-litre four-cylinder diesel was lusty, originally available with 170hp and around 400Nm. If you can search out a facelifted post-2010 model you’ll not only benefit from a redesigned face, but a more powerful 190hp version of the same engine. There’s no confusion with the trim levels either, the simple hierarchy running from XE to LE with nothing in between - though some early models were also badged as SE. Typically the LE adds larger alloy wheels, privacy glass, climate control, upgraded audio with Bluetooth and cruise control. Be aware that there were a number of special editions available though, so check each individual car for the definitive specification. Most come with the six-speed manual gearbox, a crude and utilitarian unit that matches well with the rest of the car. The same can’t be said about the optional five-speed automatic, which seems out of place. As you’d expect all models are four-wheel drive and feature low-range gear ratios and a limited slip differential for when the going gets rough. 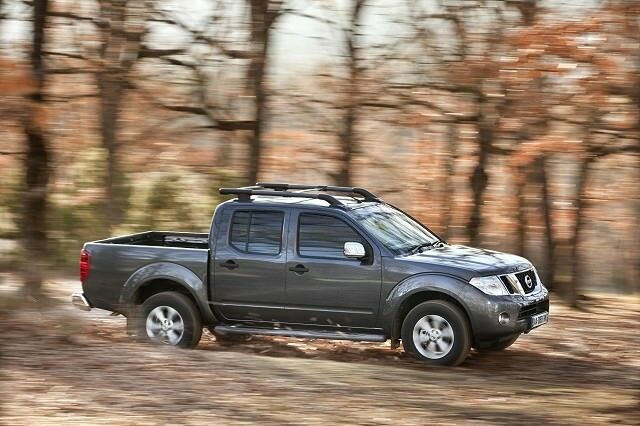 It’s the double cab that makes the most sense, and is the most prevalent on the used market, while with no engine choice we can only advise you hold out for a post-2010 model with its 190hp rather than the early car’s 170hp. Look for a higher spec LE model as the premium over the XE on the used market is negligible, and if you regularly carry loads then a glazed truck cab rear or load bay cover is a great investment. If you’re seriously looking at a pick-up like the Nissan Navara then something like a Kia Sorento is worth checking out as well - only if you really need the extra capability (off-road) of the Nissan is it worth the on-road manners sacrifice. Saying that, for what it is the Navara is well equipped, looks good and there’s plenty to choose from on the used market.